Monsignor Pio Bello Ricardo officially approved the apparition of Our Lady in Finca Betania. He is a Jesuit and Doctor in Psychology with a solid theological education from the School of Oña, Burgos, Spain. “By and large apparitions have protagonists. In Finca Betania nearly two thousand people have seen the apparitions. However there is a main protagonist, she is Mrs. Maria Esperanza Medrano de Bianchini. And I say protagonist for several reasons. Firstly, because she was the first to see the apparitions on March 25, 1976. Secondly, because she saw the apparitions on numerous occasions before 1984 when the apparitions started to be seen by those two thousand people. Thirdly, because Mrs. Maria Esperanza had received messages regarding a Holy Land where Our Lady would appear, much before the apparitions turned into collective ones. Fourthly, because Mrs. Maria Esperanza has seen the apparitions of Our Lady in Finca Betania many times. Usually visionaries see the apparitions on few occasions. Most visionaries experience an apparition only once. However, she has seen the apparitions in Finca Betania countless times. Lastly, because Mrs. Maria Esperanza is a very special counsellor, and a great group of people follow her guidance and advice with the apparition of Our Lady as a common bond. There is no doubt that Mrs. Maria Esperanza’s life was full of supernatural signs giving us a glimpse of the presence of God in all her deeds. However, she never took pride on the gifts God had given her. Even the story of her birth is filled with supernatural aspects: It is said that Mrs. Maria Filomena Parra de Medrano eagerly asked Our Lady and Jesus of Good Hope (Buena Esperanza) to grant her the miracle of a daughter promising to name the little girl Maria Esperanza. At that time, Mrs. Maria Filomena had three boys and longed for a girl. Our Lady and Jesus answered the petition with the birth of Maria Esperanza. The people of San Rafael, frontier town with Barrancas, in the Southeast corner of Monagas State, Venezuela, asserted that on November 22, 1926, Mrs. Maria Filomena in labor pains hastily embarked on a humble craft. But not being able to reach the town hospital on time, she gave birth to her child on the craft on the waters where the Orinoco and Caroni Rivers meet. Thus, Maria Esperanza was born on the day of Saint Cecilia, Patroness of Music. 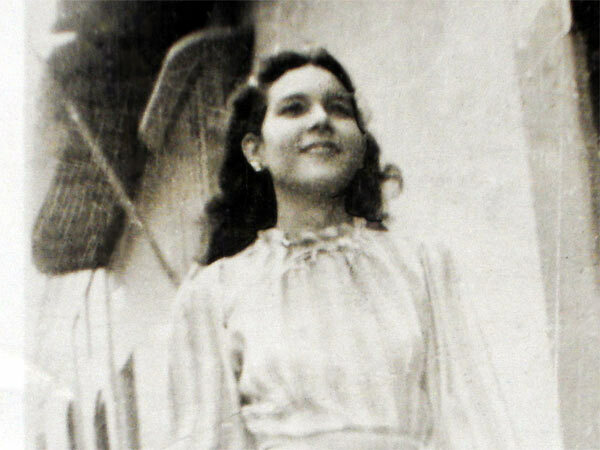 Two years later, Mrs. Maria Filomena had another girl and shortly after her husband, Mr. Aniceto Medrano, died. These events motivated the family to move to Ciudad Bolivar. Maria Esperanza was a cheerful child, despite the delicate health condition she had during her childhood. This reflected her infinite trust in God, who healed her miraculously several times. At the age of five, she had her first mystical experience. Bidding her mother good-bye, who was leaving on a trip, Maria Esperanza saw Saint Therese of The Child Jesus emerging from the waters of the Orinoco River. The saint threw Maria Esperanza a rose that she caught with her hand. It was a red rose and it had a velvet texture. She gave it to her mother who was amazed because of the fact that there were no roses nearby. Thus roses and their fragrance always surrounded Maria Esperanza’s life. On July 16, the day of Our Lady of Mount Carmel in 1937, Maria Esperanza received her First Holy Communion. Henceforth, every day she would go to Holy Mass in order to fervently receive the Lord. At the age of 10, she headed together with her mother, toward the city of Caracas. Two years later, once in Caracas, Our Lady appeared to Maria Esperanza for the first time. She was 12 years old and was seriously ill due to bronchopneumonia. The vision she had was of the Virgin of the Valley, Patroness of the Island of Margarita. Our Lady said she was her mother and had come to soothe her discomfort. Then, the Virgin told her what her mission would be, “Help me save this world that is going astray.” After this heavenly visit her strength built up. When she was fourteen years old she started to have problems with her heart and those around her thought she would not be able to live much longer. But with great faith and complete acceptance to God’s will she asked Jesus to either grant her death or to completely heal her. Immediately the Sacred Heart of Jesus appeared assuring her that she would be cured. This miraculous healing amazed a group of doctors who had deprived her of all hope of life. After leaving the convent, Maria Esperanza was told by Our Lord Jesus Christ to go to Rome where she would receive the blessing of Pope Pious XII. In Rome, in 1955 one of the prophecies that Saint John Bosco had revealed to her took place. The prophecy had pointed out that on November 1st, 1954, All Saints day, in front of the Church of the Sacred Heart of Jesus that was built by the Saint, she would meet her future husband, and that a sign to recognize him was that he would be carrying a sword. It was at the very place and day when she met her husband to be, Geo Bianchini Giani. She was absolutely certain that he was the person when she saw him wearing his uniform with his official sword as a member of the Guard of the President of the Republic. Later on and through divine inspiration, Maria Esperanza went to speak to the Parish Priest of the Basilica of Saint Peter, Monsignor Giulio Rossi, asking him for a special permission to marry in the Chapel of the Choir of the Immaculate Conception. It was in this chapel where Pope Pious IX declared such dogma one hundred and two years before. After Monsignor Giulio Rossi noticed a particular aura around Maria Esperanza’s face he decided to request from Pope Pious XII the approval for this wedding in the historical chapel. 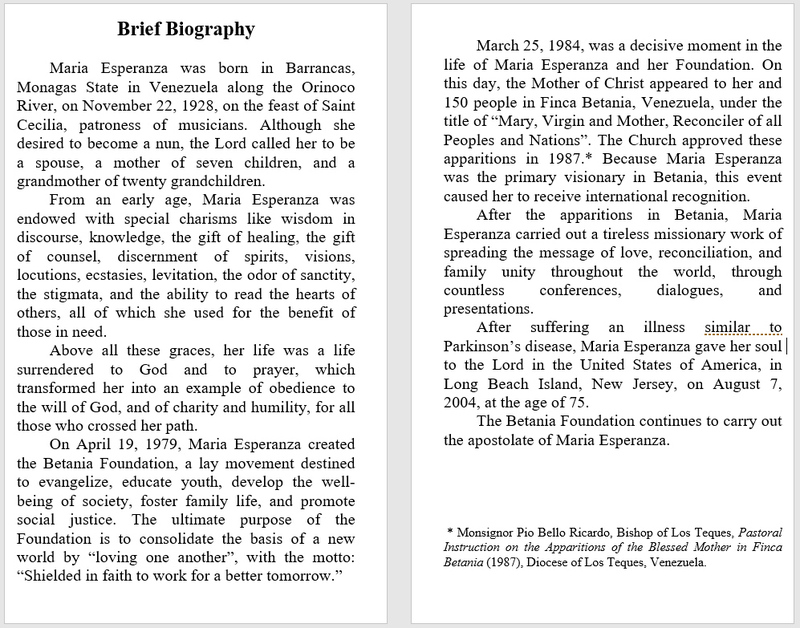 The Pope manifested that he already knew who Maria Esperanza was and gave his authorization. The wedding was celebrated on December 8, 1956, on the feast day of the Immaculate Conception in the chapel of the same name. From that moment on, Mr. Geo was her most loyal companion, remaining by her side at all times, completely identified with her mission and giving her support by raising their beautiful family conformed by the six roses and a bud that Our Lady had promised Maria Esperanza. 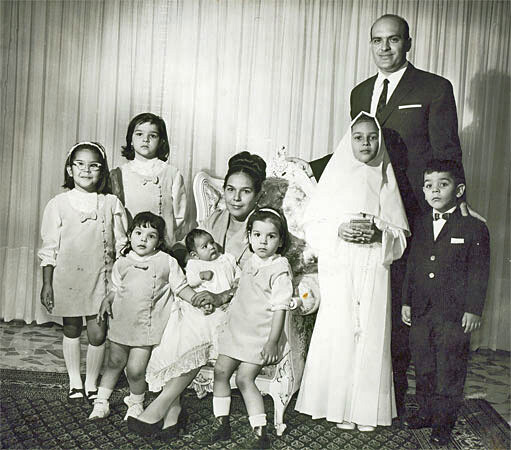 Their children are: Maria Inmaculada, Maria Esperanza, Maria Gracia, Giovanni, Maria Coromoto, Maria Auxiliadora and Maria del Carmen. At the present time, they are all married and have children of their own. They are all very close to the Catholic Church, to the sacraments (especially to daily Communion), prayer, charity, love, and reconciliation. One of the key people in Maria Esperanza’s life was the well-known Italian, Saint Father Pio of Pietralcina, who after his death in 1968 left her the wounds of Our Lord Jesus Christ as a spiritual inheritance of immense value. As time elapsed and according to the Virgin’s descriptions, Mrs. Maria Esperanza and her husband, Mr. Geo, found Finca Betania, an agricultural property located at 12 km. from the town of Cua, Parish of Our Lady of the Rosary of the Diocese of Los Teques, Miranda State. and also during the following years. On the festivity of the Annunciation in 1978, which was Good Saturday that year, Our Lady told Mrs. Maria Esperanza, “Daughter, my presence among you is not a dream, it is real, obey and continue to be loyal to this Mother so that you may rejoice for all eternity! Your task is arduous… to hand on my message of love and reconciliation to all people and nations. You will suffer, but what joy and happiness it will be to see that you have been loyal to me, your Mother. I lead you by the hand.” This was a confirmation of the role Mrs. Maria Esperanza had as ambassador of reconciliation and as victim soul in reparation for the sin of others. In fact, just as the Virgin had announced, on March 25 in 1984, she appeared again, but this time every one, close to 150 people were able to see her. Those who had the privilege of witnessing such an incredible event say they saw her 7 times in a period of approximately 3 hours during the afternoon. This apparition was made public by the affidavits of a considerable Curia presided by the late Monsignor Pio Bello Ricardo (+). Monsignor was a Jesuit with a PhD in Psychology and had solid theological knowledge received in the Faculty of Oña, Burgos, Spain. He received the witnesses and questioned them kindly and openly, although he had, as he expressed for himself, an inner attitude of doubt and scepticism. Nevertheless, due to the quality of the witnesses and the data they offered, he decided to seriously investigate the event. He dedicated more than 500 hours to the investigation, including a special trip he made to Rome in order to receive guidance from the Holy See. He studied more than 381 written declarations, some of them were shared declarations. At the end 490 people signed these statements. He interviewed more than 200 witnesses. This was how Betania turned into the forth apparition approved by the Catholic Church in the twentieth century. Mrs. Maria Esperanza’s mission was just beginning for Our Lady had much more in store for her. Now, she would publicly continue her work of evangelization beyond her country’s frontiers. As mentioned before, ever since she was very young she received many messages of Our Lady who spiritually prepared her during her whole life. Sometimes she received several in one day. In these messages the Blessed Mother told her about the development of historical events, wars, and different facts of the world, but always with a message of hope that was filled with the infinite tenderness of a mother to her children. She urged man to overcome difficult times following the Words and example of her Divine Son Jesus. Our Lady also sent frequently beautiful words full of infinite love to her children the priests and to her daughters the religious, exhorting them to go on with the entrusted mission they had received from God, of guiding his People and of spreading the message of Our Lord Jesus Christ. 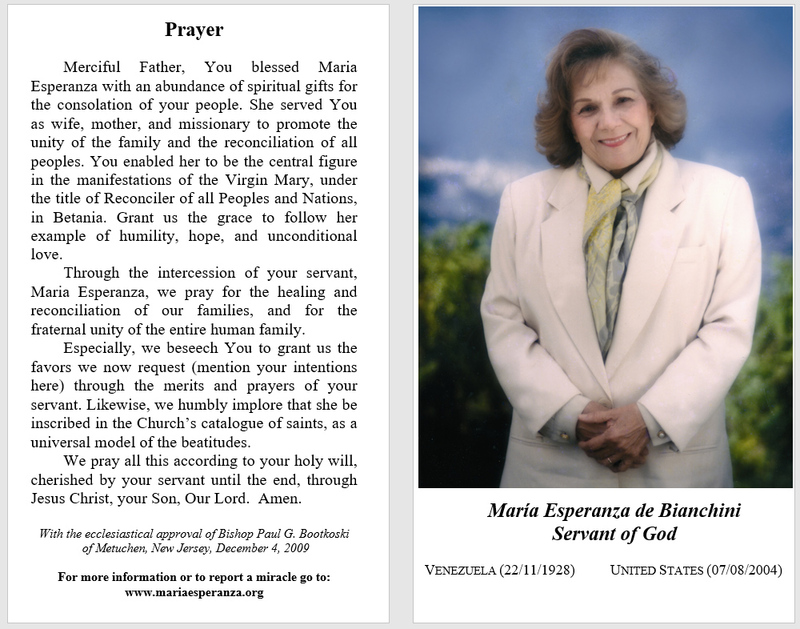 Throughout her life, Mrs. Maria Esperanza, manifested great spirit of sacrifice, and complete surrender for the well being of the souls and to prayer. She always said, “Prayer is the column of light that enlightens man in the midst of the darkness of night.” This virtue was enhanced when Monsignor Pio Bello expressed how he wished to have her gift of prayer. From an early age God enriched her with gifts and extraordinary charisma, such as: The stigmata, visions of the future, the gift of healing, the materialization of the Holy Host in her mouth, the outpouring of flower and fruit perfume, the apparition of rose petals, levitation, bilocation, transfiguration, and a unique mystical phenomenon, the spontaneous birth or outburst of a rose fromher chest. The last phenomenon took place during 16 different moments in her life. 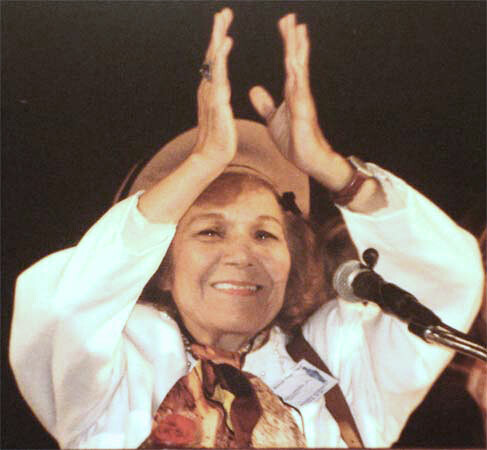 In 1995 she was granted the “Cecilio Acosta” award in Caracas, Venezuela, to acknowledge her valuable contribution as an example and inspiration, and as a promoter of faith and Christian values in the Women’s International Year. After overcoming many trails in her life and serving God in her brothers, Mrs. Maria Esperanza began to suffer an ailment, similar to Parkinson’s Disease, that gradually deteriorate her health. 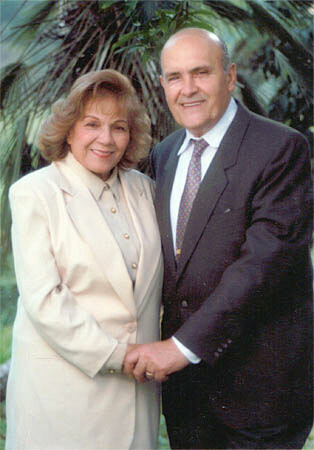 The Lord called her to receive the heavenly reward on August 7, 2004, in the city of Long Beach Island, New Jersey, in the United States of America, when she was 77 years old. All the members of her family surrounded her.